TagMe’s Web App for vehicles sales can enhance and add value in to your dealerships. Customers will appreciate the exchange of “Paperless” information and know you are being “GREEN”. Reduce Hand outs Use that great TV advert that got your potential customers interest in the first place. 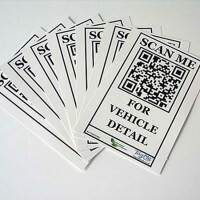 QR Codes that help sell your Cars Make selling cars an interactive experience, your customers will only benefit from. You use the same QR Code point of sale, each time you sell a car no buying a new print for a new car. Login to your account and change the product details, therefore changing your advert without cost of printing. For use with company name does not use LOGO. The QR Code will show vehicle details as well as your Logo and contact information. On scanning the QR Code customers are presented with the web app they are then able to contact the Dealer direct and carry out a complete contact array of one touch “call to action” functions.Including, book a test drive, request a call back. 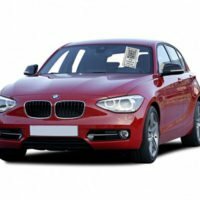 show the vehicle and its outlined details to any parties involved in buying the vehicle who are not present at the time just by text. the information and images are also stored on their smart phone for viewing at any time. The vehicles QR Code also help promote any ongoing advertisement such as Auto Trader or your own website. The “call to action” functions on a mobile smart phone enhance the customer experience in buying a car and help the dealer gather data through analytic s in how a vehicle is placed or popularity. The code can be placed in-car after car, you will have a personal account and all you have to do is login to your account and change the details vehicle photos, make, model and so on, this will be displayed when the QR code is scanned. Follow the link to see more.